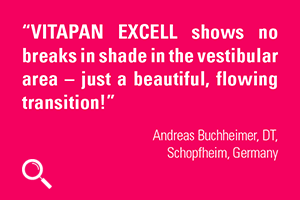 "The corporealness of VITAPAN EXCELL: That's power, that's energy!" "No matter how you look at it, there is no way getting around this tooth!" 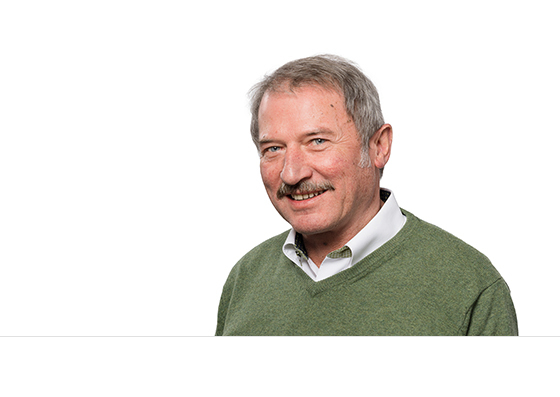 Criteria for a new generation. 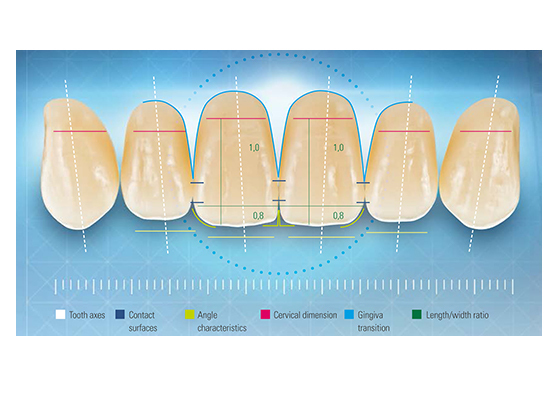 An anterior tooth requires "Golden" proportions in terms of length, width, etc., perfectly aligned tooth axes and natural angle/curvature characteristics. 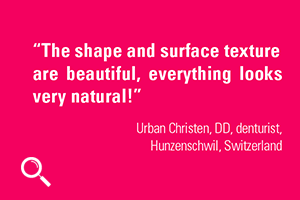 An anterior tooth needs natural light transmission and vitality in light dynamics. 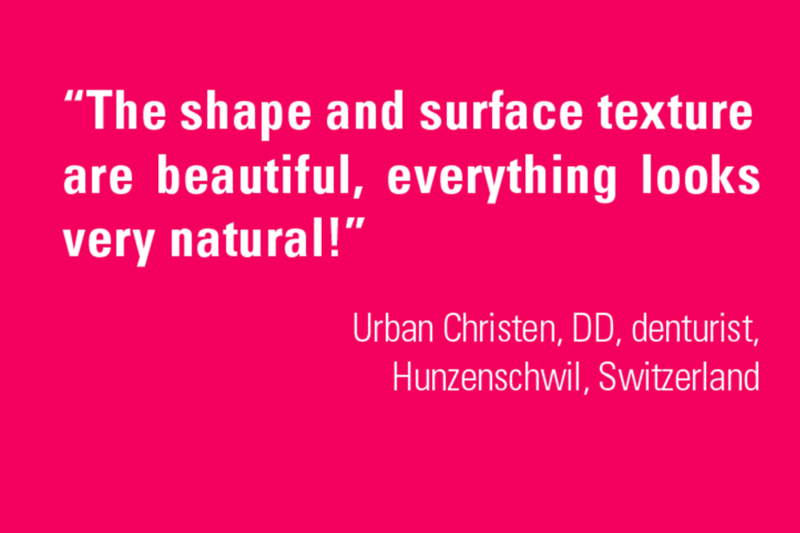 An anterior tooth must have excellent shade accuracy in accordance with the VITA shade standard and a harmonious shade transition. 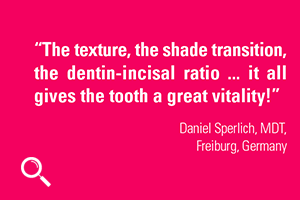 Harmonic shade transmition from cervix to incisal edge thanks to its unique 3D shade coating. 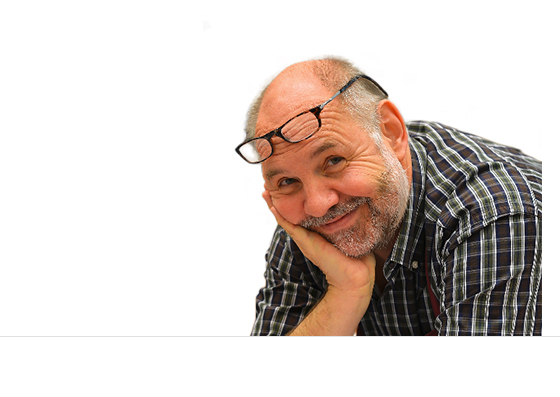 Excellent shade accuracy is very important in a prosthetic tooth, especially when the other teeth are natural. 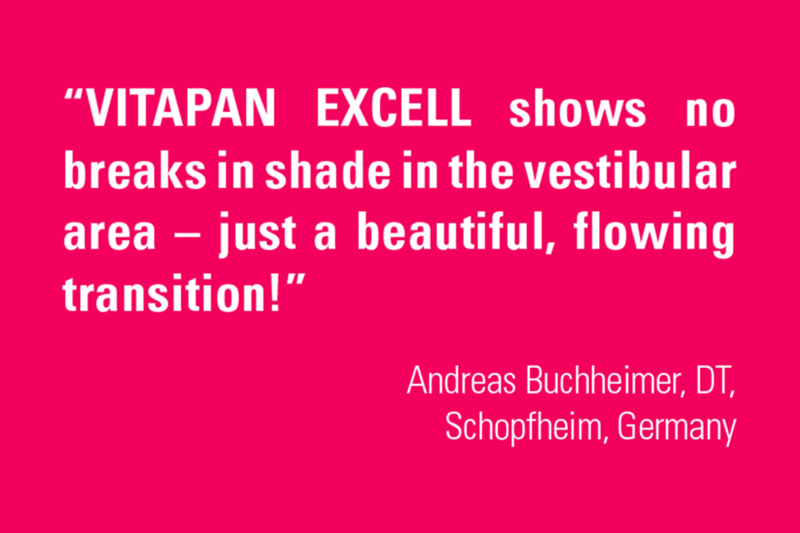 Excellent shade accuracy in accordance with the VITA shade standard thanks to matching brightness, intensity and shade values. 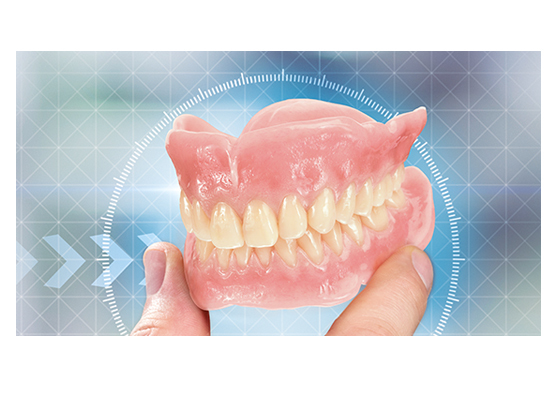 For generations, dental technicians and VITA have been united by a passion for prosthetic solutions. 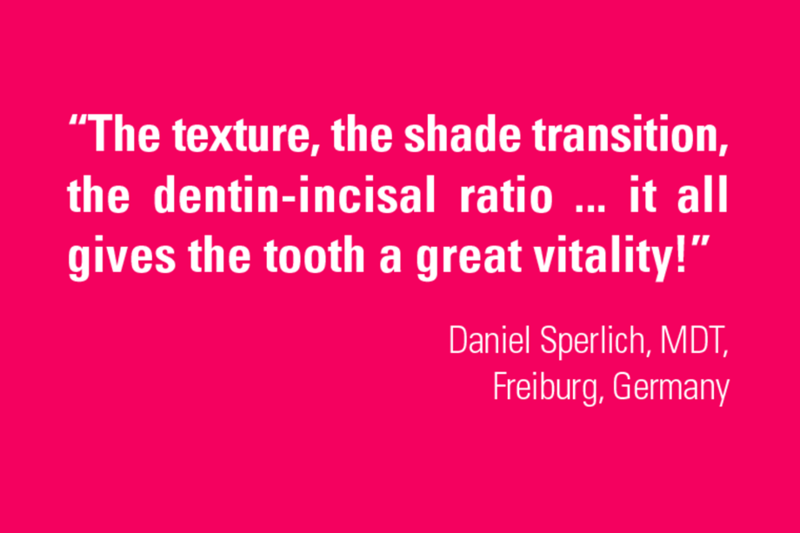 "What really makes the new tooth interesting is its shape, shade and texture!" 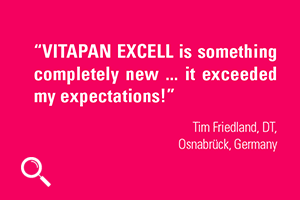 96% of the technicians included in the survey rated the esthetic appearance of VITAPAN EXCELL as "good" or "very good"
The technicians in the survey were particularly impressed with the shape, shade and surface texture of VITAPAN EXCELL. 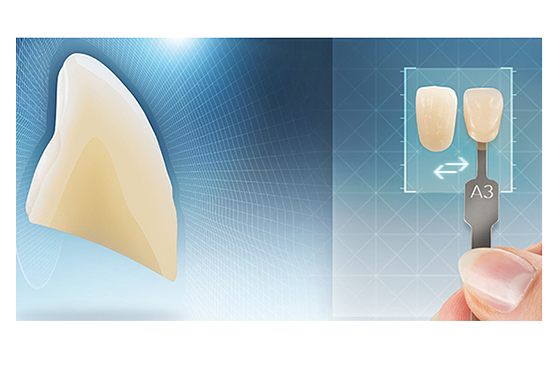 German engineering combined with dental technology – since 1924. 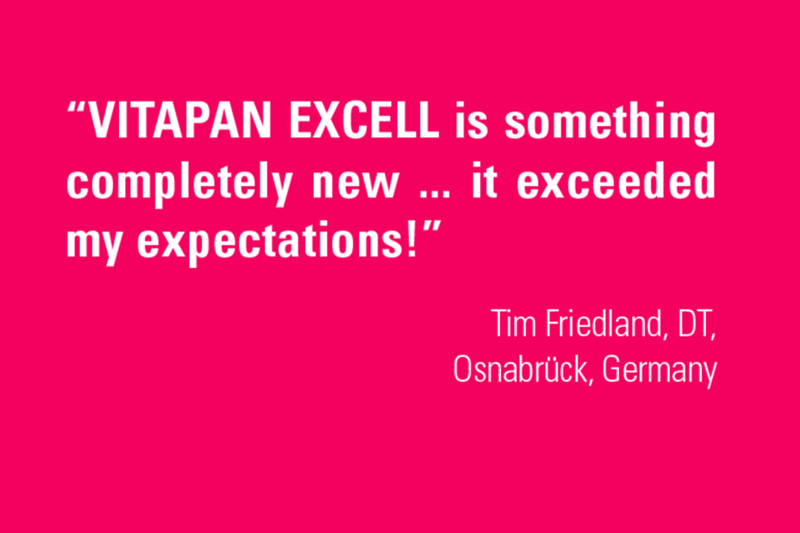 VITAPAN EXCELL was designed and constructed based on natural teeth. 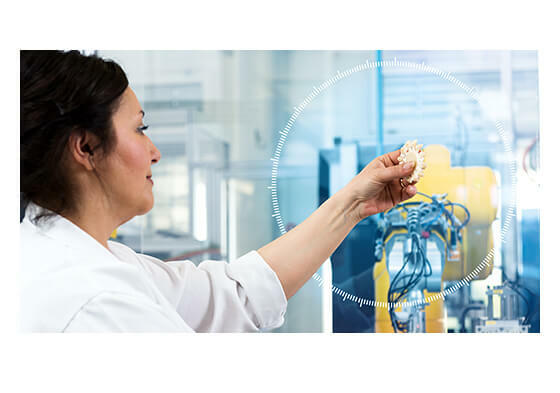 VITA's developers and engineers received input and ideas for the product from experienced dental technicians all around the world.